and then rerunning genkernel solved the issue. The best hint seems to be that it is something to do with a bad version of CPIO or similar, or some library that changed and didn't get fully recompiled. Where the values for `uid` and `gid` come from the output of the `id` command as above. Note that you'll have to do this EVERY TIME you upgrade VMware tools. If you have SSH access to your Mac, you can remotely enable Remote Desktop. However, if you want to VNC into the Mac, you'll need to set a VNC password and turn VNC on. The following huge command turns on Remote Desktop, enables VNC, and sets the password to password. which is the encoding of "password". Now use SSH tunnels, connect, and it should work. You can then change the password via system Preferences to a more secure one. Of course, replace the italic words with the ones that apply to you. VNC connection failed: Incompatible Version. This will also appear as similar errors about incompatible security and so forth from various other VNC viewers; the above error is xtightvncviewer on Ubuntu Linux. The cause of the problem is that Apple's Remote Desktop supports additional features in security that are not part of the normal VNC protocol; to fix it, click "Computer Settings" under Screen Sharing on the Sharing page of System Preferences, and set a password for VNC viewers. Then it will work. Odd groups got left, even groups got right. That means 1, 3, 5, 7 left; 2, 4, 6, 8 right. 7 & 8 are whelp groups. Ok listen the f*ck up. You are going to DPS very, very slowly. Now, and by slowly I mean f*cking slow. If you get aggro, it means you are going to lose 50dkp because you didn't know what the f*ck to do. And watch the f*cking tail. If you get into the whelps, you lose 50dkp again, for not being where the f*ck you were supposed to be. There is no aggro reset. There is some #@#% about an aggro reset when people don't know how to manage their aggro. After 2 Sunders you can basically start doing damage to it. Assuming you know how aggro works and you don't over-aggro. Ok nuke it, dot it. Help the whelp groups. When it's in phase 2, nuke it as hard as possible. You want to get it down as fast as possible. Have dots up on every time, 2 rows, Shadow Word: Pain, Warlock curses, Rends, everything. I don't see enough dots, more dots now. Come on more DPS. Hit it like you mean it. You'll have time to rest in phase 3 while I'm getting the aggro. Remember, save all your aggro reducing abilities for when it lands. That means Feign Death, Vanish, f*cking Fade, anything you can use to reset aggro. At 40% you will stop dots, until then you will throw more dots. Throw more dots, more dots, more dots, come on more dots. Ok, stop dots. Now hit it very hard and very fast. Lee run to the center, Mulgras run to the center, Forsyte run to the center, Nurf run to the center, Isis run to the center. Whatever the f*ck you do, do not stand next to other people. Mulgras, center. Just heal me. Lee do not... Go away from the head, Lee. Go away. Ok DPS, slowly. Come here you f*cking c*nt. Watch the tail! Who the f*ck was that? Crushim, what the f*ck? Whelps, left side! Even side! Many whelps! Now, handle it! F*ck! That's a f*cking 50dkp minus! What the f*ck was that #@#%? If you stand in the right f*cking place, there is no way you are going to f*cking get into the goddamn whelps, whatever f*cking Fear, tailswipe, whatever the f*ck, OK? It's like one in a f*cking million. From the f*cking north corner to the middle into the f*cking whelp cave, IT'S NOT EVEN F#CKING REMOTELY IMAGINABLE! This has all the gmail chat smilies known so far. I had installed VMWare server on Ubuntu with little pain, but it would not keep the time stable in the XP guest. I had installed the VMWare tools, but it wouldn't help - it would get up to a day off in a short period of time. Turns out that my processors automatically scale down (Core 2 Quads), and so I needed to edit /etc/vmware/config and add the line host.cpukHz = 2400000 which is the correct one for my 2.4GHz CPU. After this, I restarted the vmware-server service, and the time is perfectly synced. I was able to confirm the kHz number to use by running burnp6 from the cpuburn package on all four cores and looking at /proc/cpuinfo to see what speed it reached. 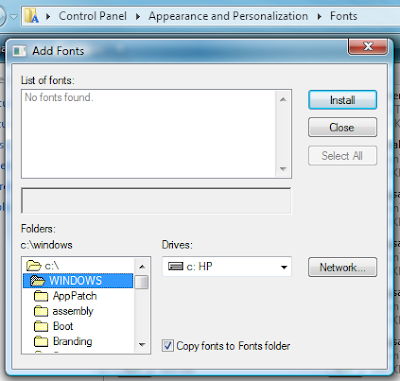 Windows Vista still uses the NT 3.5 file picker! Windows NT 3.5 will live forever! I had an Apache 2.2.3 HTTPS server configured, and it kept complaining that the uploads were too large. I tried setting the php.ini settings, adding LimitRequestBody, nothing worked. It still died. which was the hint I needed. I was using Apache SSL client certificates, which have a limit of 128K, and if re-negotiation has to happen, a larger POST will fail. This Bugzilla posting had the clues - You have to set the following as DEFAULTS for your SSL server, not just the directory. Otherwise it forces a renegotiation of some sort, and fails with a 413 error.